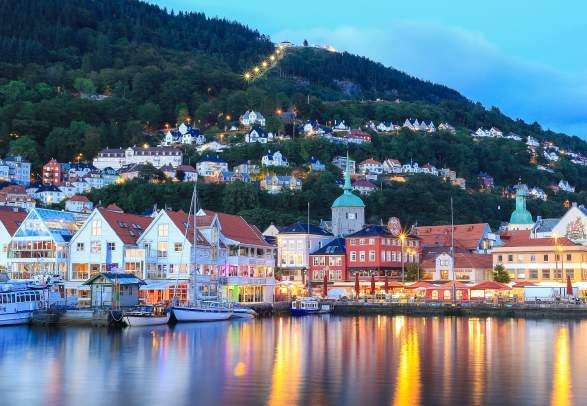 “Our fjords have numerous natural attractions that are well-suited for the whole family”, says Julie Strandheim at Fjord Norway, the Bergen-based official tourist board of Western Norway. Here are a few ideas from Julie, intended as a starting point for a nature-based holiday that will keep even the youngest family members entertained. Ease into the holiday on a silky beach. Solastranden is a 2.3-kilometre sandy stretch backed by beautiful sand dunes. The easy-going atmosphere is perfect not just for families, but also for surfers and other water sports practitioners, so the children always have something exciting to watch. Ease into the holiday on a silky beach. Solastranden is a 1.4 miles long sandy stretch backed by beautiful sand dunes. The easy-going atmosphere is perfect not just for families, but also for surfers and other water sports practitioners, so the children always have something exciting to watch. 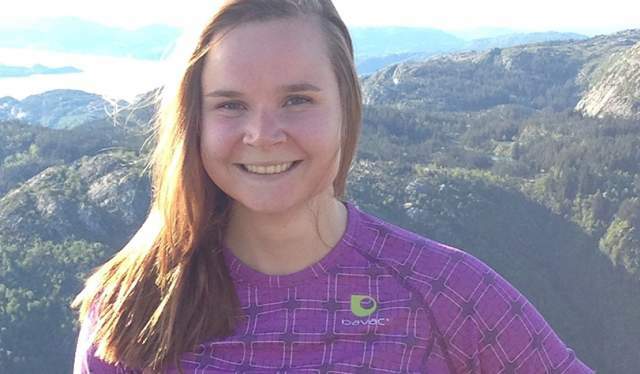 Family-friendly glacier hiking is offered at the Folgefonna glacier. Walking on ice when it is summer in the rest of Norway is one of the most memorable activities one can do with the whole gang. Read more about glaciers. Enter the world of trolls and goblins. On a guided tour for the whole family, Norway’s cherished fairy tale creatures almost come alive. Navigating down a river in a narrow vessel can look scary when observed from a distance. But in the hands of experienced instructors, it doesn’t take long for both adults and children to master the necessary skills of rafting. Upon arrival in Ålesund, get to know the sea creatures at Atlanterhavsparken, Ålesund Aquarium. This comprehensive aquarium has an unusual structure, built specifically to make you feel like you are in the sea with all its colourful characters. Upon arrival in Ålesund, get to know the sea creatures at Atlanterhavsparken, Ålesund Aquarium. This comprehensive aquarium has an unusual structure, built specifically to make you feel like you are in the sea with all its colorful characters. The Sognefjord is Norway’s longest and deepest fjord – at its deepest, the Sognefjord plunges to more than 1,300 metres, and the mountains along the fjord rise to more than 1,700 metres. 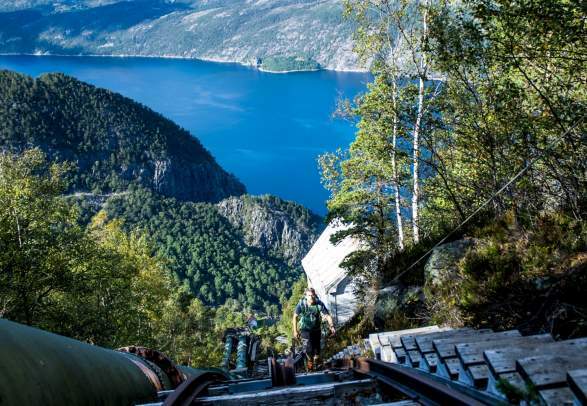 The Sognefjord’s most narrow and famous fjord arm is the Nærøyfjord, only 250 metres wide at its narrowest. Since 2005, the Nærøyfjord has been listed as a UNESCO World Heritage Site. 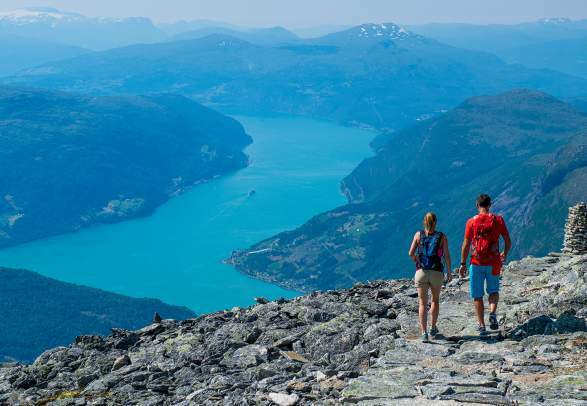 The Hardangerfjord is 179 kilometres long and is the third longest fjord in the world. The fjord’s greatest depth is 900 meters. 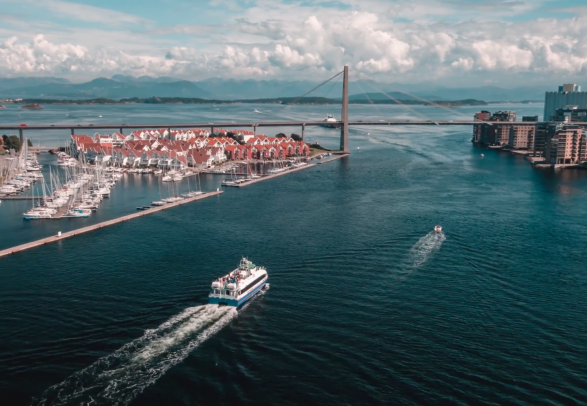 The Lysefjord is 40 kilometres long, and the mountains that tower above the fjord are quite famous – here, you’ll find Preikestolen, Kjerag, and the 4444 Flørli steps. The Sognefjord is Norway’s longest and deepest fjord – at its deepest, the Sognefjord plunges to more than 4,265 feet, and the mountains along the fjord rise to more than 5,577 feet. 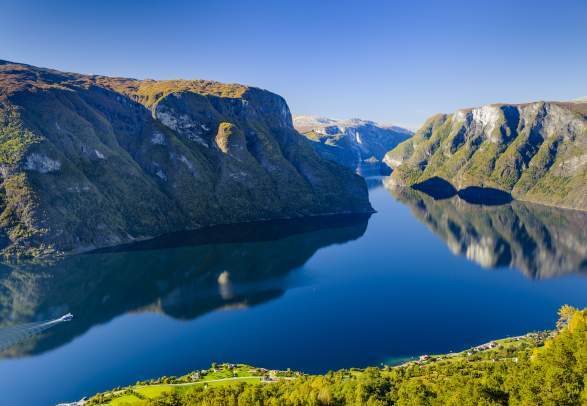 The Sognefjord’s most narrow and famous fjord arm is the Nærøyfjord, only 820 feet wide at its narrowest. Since 2005, the Nærøyfjord has been listed as a UNESCO World Heritage Site. The Hardangerfjord is 111 miles long and is the third longest fjord in the world. 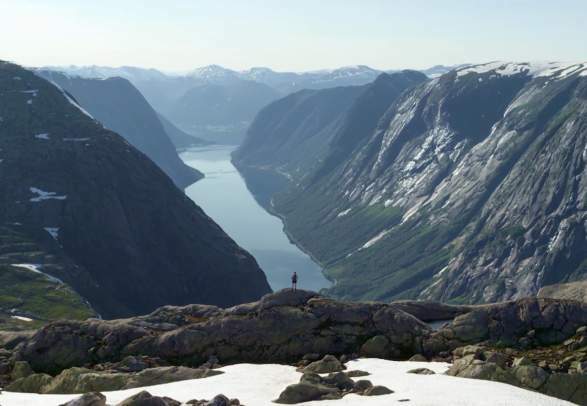 The fjord’s greatest depth is 2,952 feet. The Lysefjord is 25 miles long, and the mountains that tower above the fjord are quite famous – here, you’ll find Preikestolen, Kjerag, and the 4444 Flørli steps. 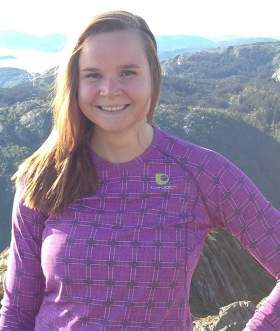 Find Julie Strandheim’s round trip suggestions on the map and plan your route. 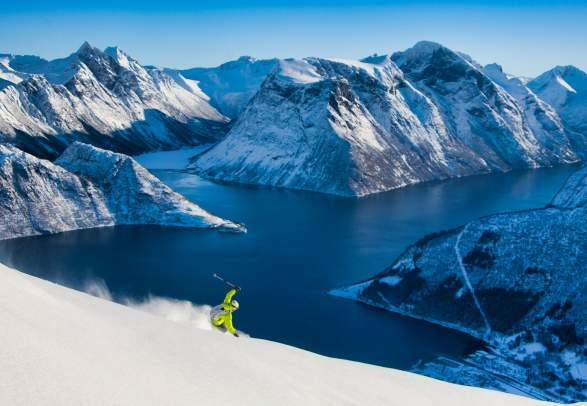 There are more than a thousand fjords in Norway, all along the coast. But most of the iconic ones are located on the west coast. Along selected roads in Norway, natural wonders are amplified by art, design, and architecture – taking you closer to nature in new and surprising ways.